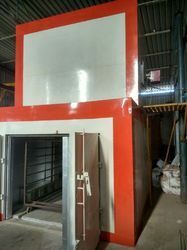 We are a leading Manufacturer of paint curing oven, water dry off oven, batch type powder curing oven, conveyorised oven, powder curing oven and spray pretreatment tunnel with water drying oven from Pune, India. 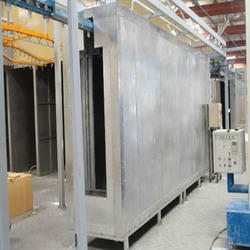 Paint Curing Oven offered comes designed and developed using latest technology support and provides for low energy consumption. Comes with industrial Rockwool insulation. Packaging Details: Wooden Packing for exports. We hold immense expertise in manufacturing, exporting & supplying a broad range of Water Dry Off Oven. Our product is manufactured making use of premier-grade raw material and advanced technology at our end. Owing to its durability as well as superior finish features, the offered product is highly demanded in the market. Apart from this, clients can avail the entire range at nominal prices within given span of time. 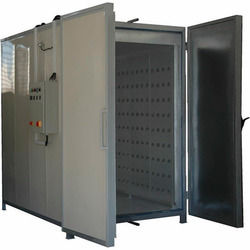 The Batch Type Powder Curing Oven is designed with the available space in mind and also to ensure ease of operation. The oven is robust and efficient in fuel consumption. 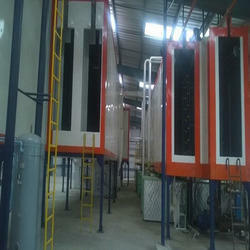 Sized will differ as per the client requirements and the system is provided as an integrated system to the client. Symbolic to all the success that we have acquired in the industry remains our status as the prominent manufacturer, exporter & supplier of a precision-engineered range of Conveyorised Oven. Our offered black ovens are manufactured and verified under the vigilance of our seasoned professionals. For strictly adhering to the universally accepted standards, our offered product is thoroughly examined by our quality controllers at every stage of production. In line with clients' variegated requirements, we offer the entire range in various customized options. 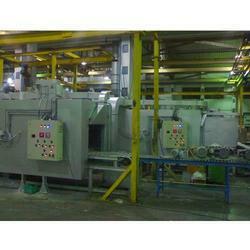 We are actively engaged in offering a wide gamut of Powder Curing Oven. The offered product is designed using high grade raw material and latest technology with set universal standards. Additionally, the offered product is checked against various parameters of quality under the strict supervision of quality controllers to ensure the flawless deliveries. In addition to this, offered curing ovens can also be customized as per various specifications from our prestigious clients. 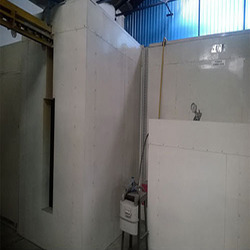 With sincerity and hard work of our professionals, we have carved a niche for ourselves in this domain by offering Spray Pretreatment Tunnel with Water Drying Oven. Our provided products are widely utilized in various industries for the purpose of cooling the pipes, profiles, tubes, and wood plastic composites. The offered tunnel is manufactured utilizing optimum quality components and ultra-modern technology under the direction of our skilled professionals.